The Gryphon 4500 series is the new barcode scanner from Datalogic with a wireless charging function for retail, logistics, transportation, pharmacies and hospitality. 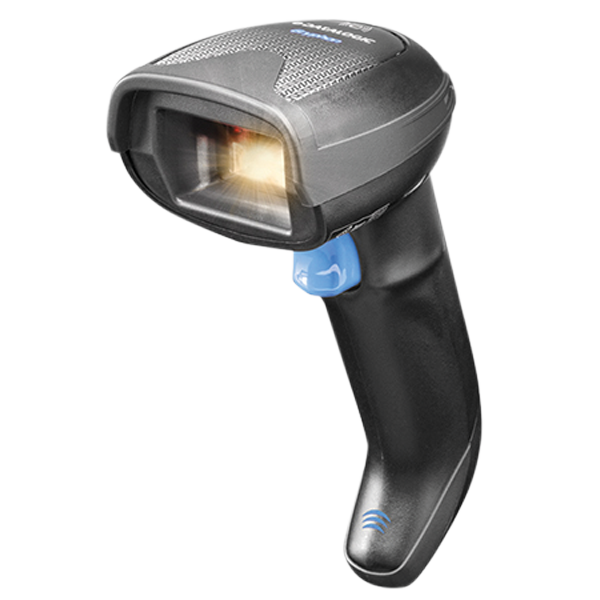 The Gryphon scans 1D, 2D and optionally also Digimarc barcodes at a rapid speed – and with eye-friendly, white backlighting. It has a very high depth of field, with which it also captures poorly readable or damaged barcodes in no time. Thanks to its Datalogic Motionix motion sensors, it automatically switches during scanning between the scan mode currently needed in handheld mode or in the stand. The Gryphon I GBT4500 features Bluetooth 4.0 with BLE, while the Gryphon I GM4500 uses narrow band radio. Order the Datalogic Gryphon with your sales representative today. Give us a call at (+43-1) 485 26 05-0!